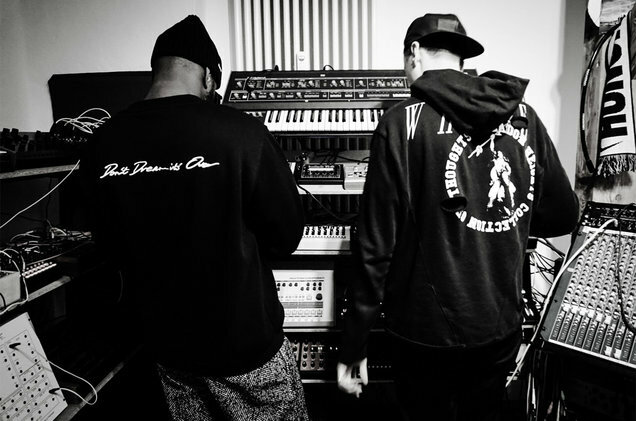 Virgil Abloh and Alex Ridha recorded the project in Ridha’s Berlin studio. Just because he's the new menswear designer for Louis Vuitton doesn't mean that Virgil Abloh is giving up his passion for impeccable electronic music. Today, he and Berlin-based producer Boys Noize (who's allegedly been working on Lady Gaga's new album) have shared their collaborative EP titled Orvnge, which features three thumping new tracks. Though the EP was officially released on vinyl a couple months back, you can stream it now below.